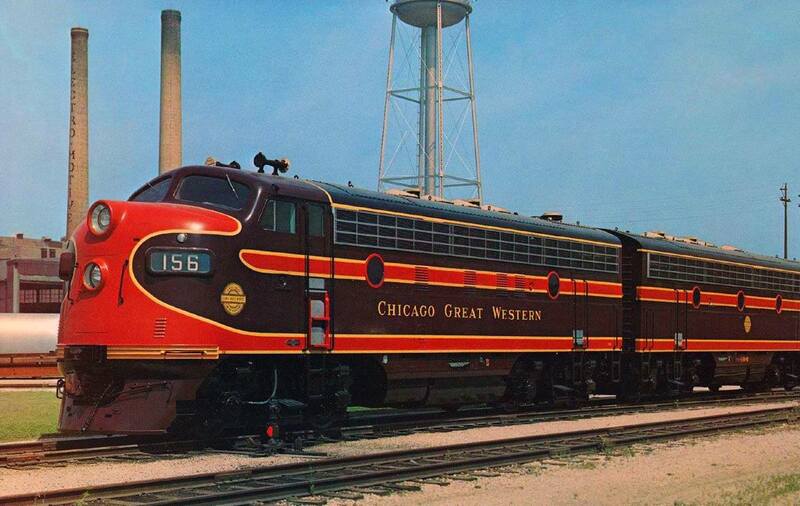 The Chicago Great Western Railway was a somewhat obscure Midwestern granger, operating in the shadows of the much larger Chicago & North Western, Burlington, Rock Island, and Milwaukee Road. It largely kept to itself with a focus towards customer service and modernity to maintain an efficient, profitable business. The 1,500-mile carrier was a David among Goliath's surrounding by roads nearly or over 10,000 route miles in length. While its system was not large it did reach many notable markets such as Chicago, St. Paul/Minneapolis, Omaha, and Kansas City. What the railroad lacked in size it more than made up for in customer service. Always the innovator the CGW was constantly looking to reach new customers, streamline operations, cut costs, and generally carry out any measure possible to grow business. Alas, its small size coupled with stifling federal regulations, rising costs, and competition from other transportation modes eventually brought about its end. 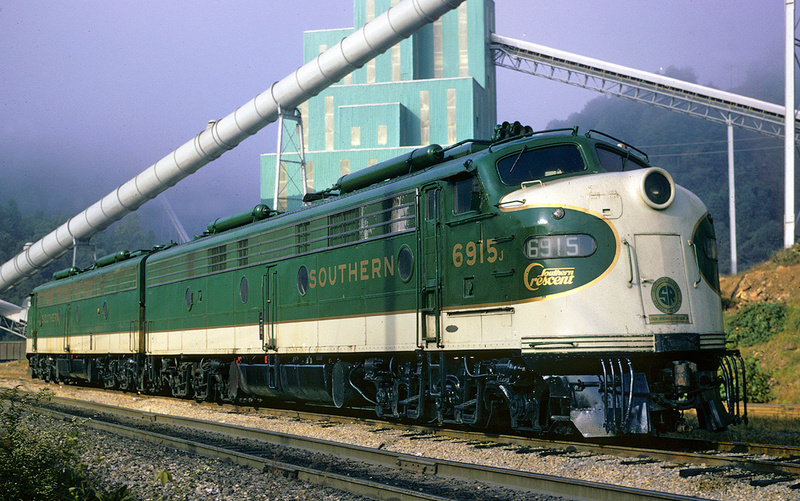 The much larger C&NW, in an effort to reach the Kansas City gateway, purchased the Corn Belt Route in the late 1960's and set about abandoning much of its network. What became one of the great Midwestern railroads would not have happened without the vision and hard work of Alpheus Beede (A.B.) Stickney. 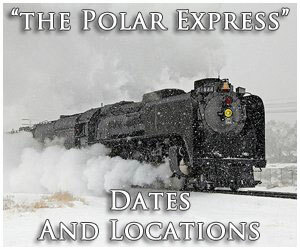 While the Chicago Great Western's immediate heritage begins during the 1880's the company's earliest roots date back to the Chicago, St. Charles & Mississippi Air Line Railroad (CStC&MAL) organized in 1850 to link Chicago with the Mississippi River. There was some grading carried out by this predecessor but ultimately it never secured the financial backing needed to actually begin construction. There were many such projects launched around this time in an effort to reach Chicago, such as early components of the C&NW, Milwaukee Road, and Burlington. Hopeful visionaries not only realized the growing importance of this city but also the Midwest's traffic potential in agriculture and natural resources (timber and iron ore to the north, and coal to the south). With the CStC&MAL project going nowhere the Minnesota & Northwestern Railroad (M&NW) was granted a charter by the Minnesota state legislature on March 4, 1854. According to historian H. Roger Grant's authoritative book, "The Corn Belt Route: A History Of The Chicago Great Western Railroad Company," the M&NW was to build, "...from a point on the North West shore of Lake Superior...by St. Anthony and St. Paul...to such a point on the northern boundary of the State of Iowa - as the board of Directors may designate; which shall be selected with reference to the best route to the City of Dubuque." Chicago, Burlington & Quincy, "Everywhere West"
Chicago & North Western, "Route Of The '400'"
Minneapolis & St. Louis, "The Peoria Gateway"
Chicago, Milwaukee, St. Paul & Pacific (The Milwaukee Road), "Route Of The Hiawathas"
This project also ran into trouble although it may have experienced greater success had it not been for the financial Panic of 1857. As with the CStC&MAL nothing more happened with the M&NW project until A.B. Stickney got involved. Along with business partner and investor William Marshall the two purchased the company's 10,000 shares outstanding believing it could be turned into a successful operation. By then, Stickney was no stranger to the railroad industry. 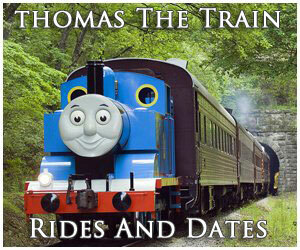 He was born in Maine on June 17, 1840 and became interested in the railroad industry after the Civil War. The energetic and sharp young man worked his way up through ranks with several different railroads; he helped build predecessors of the Chicago & North Western and then went to work for James J. Hill's, St. Paul, Minneapolis & Manitoba Railway (early component of the Empire Builder's later Great Northern Railway). He later found top positions at Canadian Pacific and another Midwestern granger, the Minneapolis & St. Louis Railway ("The Peoria Gateway"), before going off on his own with the Minnesota & Northwestern. 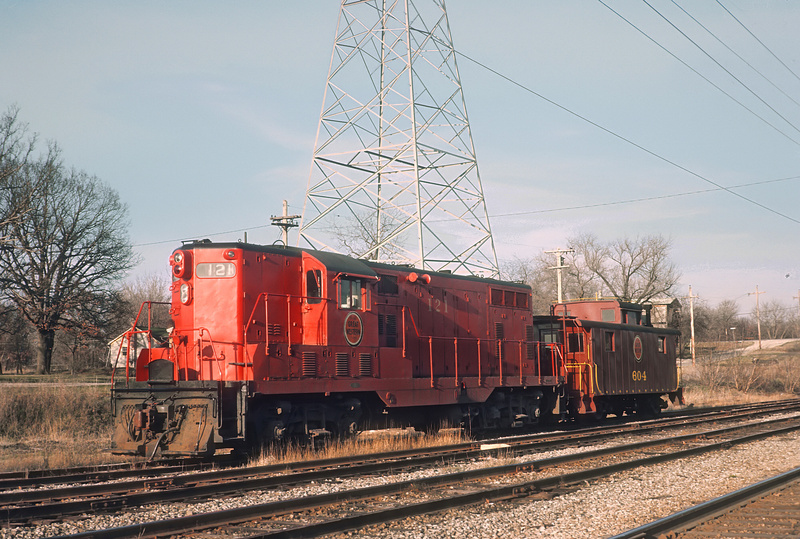 Now heading his own company, Stickney's project quickly took off as he began track surveys for a 110-mile line from St. Paul to Mona, Iowa where a connection would be established with the Cedar Falls & Minnesota (leased by the Illinois Central). Actual construction of the route began in 1884 and was officially ready for service on September 27, 1885. Having a great deal of experience in both managing and building railroads, particularly within the hotly contested Midwestern market, Stickney realized for his venture to sustain long term success it must link the largest cities. There was none larger, of course, than Chicago and he quickly made reaching America's railroad capital a top priority. During May of 1885, Stickney acquired the assets of the Dubuque & Northwestern Railroad (D&NW) for this purpose, a system originally incorporated on June 20, 1883 as a narrow-gauge to connect Dubuque with an unspecified northwesterly point ("...to run in a northwestern direction into Minnesota and Dakota and connect with the Northern Pacific..."). Before any construction could take place the road encountered financial troubles which allowed Stickney to become involved. It would build a 50-mile line west from Dubuque to reach Compton (near Lamont). From there, another new segment would branch from the existing M&NW at Hayfield and run in a southeasterly direction. The D&NW began construction on July 29, 1885 with the first eight miles opening to Durango by year's end. Into 1886 work quickened while at the same time the M&NW began construction of its section. On October 20, 1886 a through route from Dubuque, along the Mississippi River, to St. Paul was completed and ready for service. 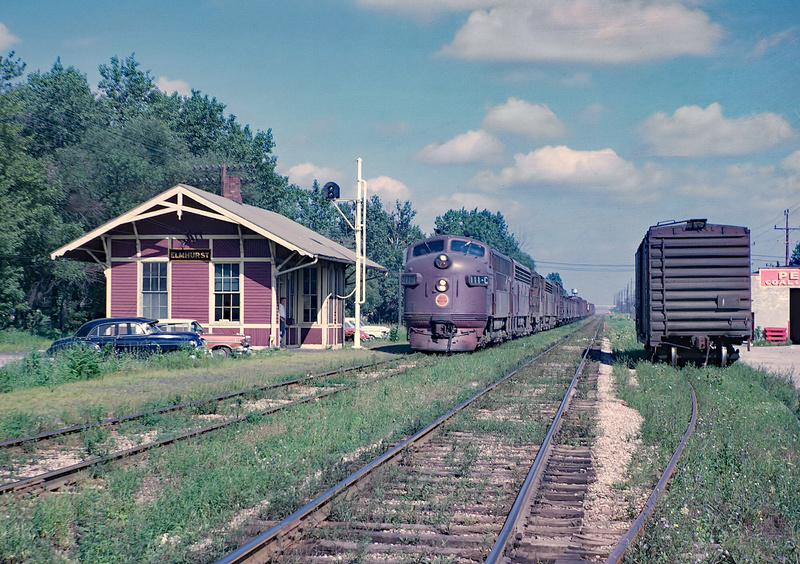 The 253-mile pike was still a relatively small operation in comparison to the surrounding Chicago & North Western, Rock Island, Burlington, and Milwaukee Road. However, considering the relatively late time period in which he began it is rather incredible Stickney accomplished what he did. This is because that while the 1880's witnessed more trackage laid across the country than during any other decade, the big grangers mentioned above used a great deal of resources to keep out potential new threats. 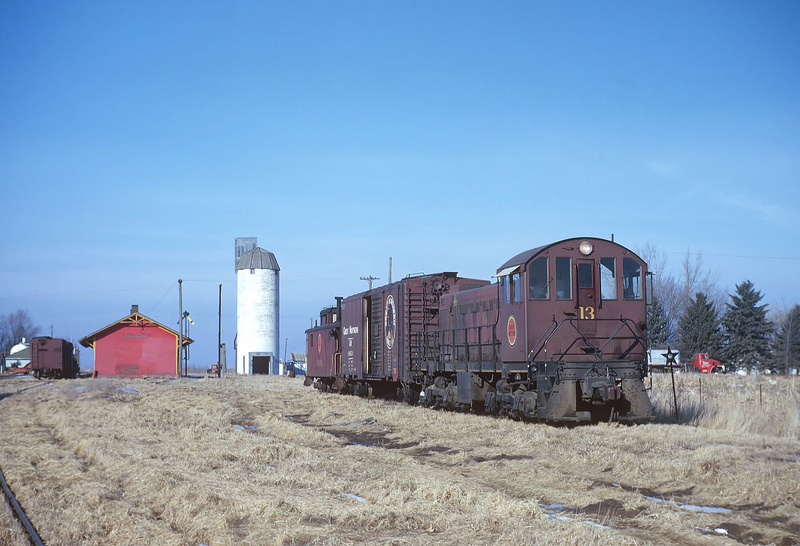 While the D&NW/M&NW projects were under way Stickney established a new system, the Minnesota & Northwestern Railroad of Company of Illinois. 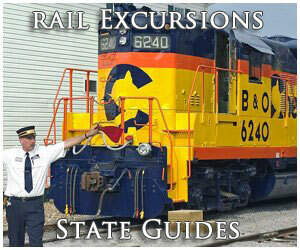 It was officially incorporated on February 25, 1886 and would build a direct link into Chicago via Dubuque. Once again he wasted little time as construction commenced that same July. The line would not actually reach downtown Chicago but the nearby suburb of Forest Home (Forest Park) and then utilize trackage rights over what later became the Baltimore & Ohio Chicago Terminal (B&OCT). By February of 1887 the 97-mile line from Forest Home to South Freeport was finished although regular service did not commence until later that summer. Part of the route, which included 27 miles from Forest Home to St. Charles, utilized the grading work of the moribund Chicago, St. Charles & Mississippi Air Line previously mentioned. To reach home rails into Dubuque, trackage rights were initially secured over the Illinois Central before construction of this final extension began in March of 1887. 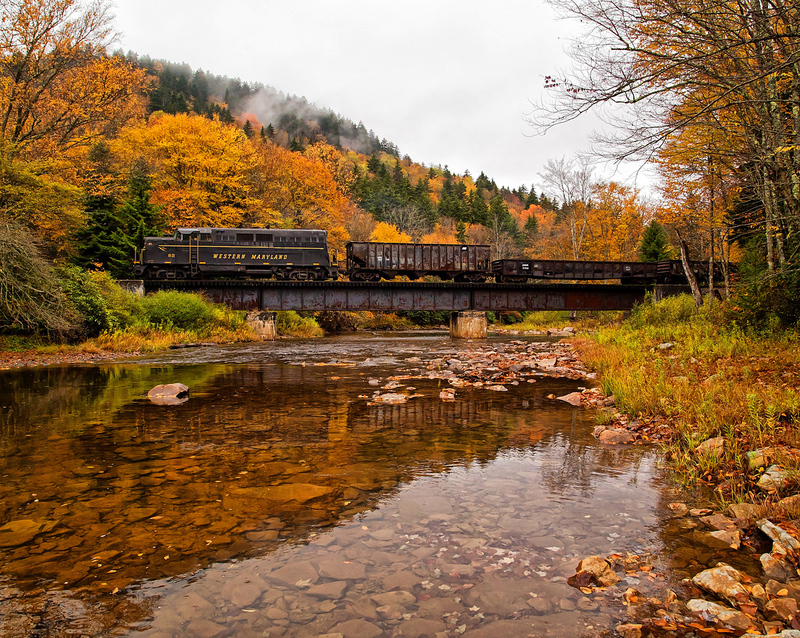 After only a year the 50-mile line was completed in early 1888 and opened for service on February 9th. The Chicago main line contained one notable infrastructure project, the 2,493-foot Winston Tunnel. It proved an expensive and contentious operational problem throughout its history. The bore was completed in early 1888 but the unstable blue clay through which it was built required extensive maintenance over the years and major rebuilds at various times. As the route was being finished three significant events occurred during 1887: first, Stickney acquired the small Dubuque & Dakota on January 19th which branched from the M&NW at Sumner, reached Waverly, and extended as far west as Hampton; later that year he added the Wisconsin, Iowa & Nebraska, which had opened a section of track from Waterloo to Des Moines, Iowa (as well as a branch to Cedar Falls). He connected it to Oelwein and then pushed southward into Kansas City reaching as far as St. Joseph in May of 1888. From there, a new company was chartered, the Leavenworth & St. Joseph which was completed to Beverly along the east bank of the Missouri River in December of 1890. To reach Kansas City directly, trackage rights were carried out over the Rock Island, Union Pacific, and Kansas City, Wyandotte & Northwestern (Missouri Pacific). Finally, while all of this was ongoing his entire enterprise was renamed the Chicago, St. Paul & Kansas City Railroad in December of 1887 to better reflect the company's future intentions. As Stickney eyed a westward extension towards the important western gateway of Omaha, where interchange could be established with the transcontinental Union Pacific, his railroad ran into financial issues and entered receivership on January 16, 1892. The bankruptcy was short-lived, however, and assets of the CStP&KC were acquired (initially via lease, the CStP&KC was later dissolved in 1893) by the newly formed Chicago Great Western Railway on July 1st of that same year with Stickney remaining in control. Interestingly, while the company weathered the crippling financial Panic of 1893 the troubled economic conditions warranted no further expansion at that time. One notable event which took place was moving the primary shops from South St. Paul to Oelwein, Iowa. This town was situated exactly in the center of the Great Western system, making it an ideal location for such facilities. The Oelwein Shops opened in April of 1899 containing locomotive and car repair shops, back shops, store house, and other buildings related to maintaining the company's equipment and infrastructure. They were expanded a few years later when a large 40-stall roundhouse opened in 1904. By the early 20th century the railroad's financial situation had greatly improved as Stickney sought another round of expansion. The railroad had already opened its only branch in Illinois to DeKalb, a 6-mile spur running via Sycamore completed in October of 1895 via subsidiary DeKalb & Great Western Railway. It also began branching out to the east and west of its Twin Cities main line during the 1890's, a process which continued into the early 1900's. Most of this trackage came through acquisition of the Wisconsin, Minnesota & Pacific in 1899 which by 1903 connected Mankato to the west, crossed the Great Western at Randolph, then proceed south to link Red Wing, Bellechester (via a short branch), and Rochester. The latter town also contained a westward spur running back to the CGW main line at Dodge Center. Finally, an extension from Rochester headed east to Winona and south to another CGW connection at McIntire, Iowa before terminating at Osage. 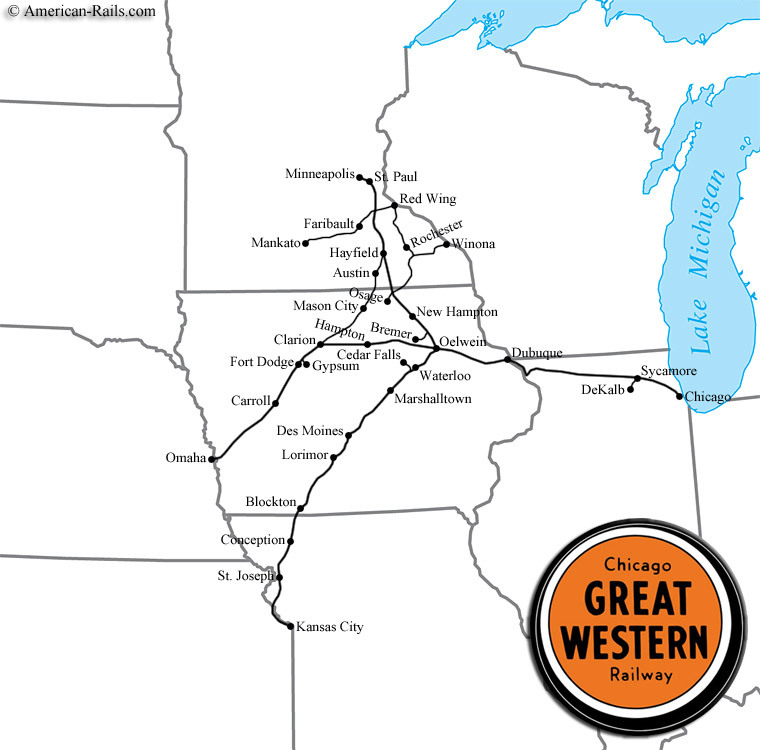 The last significant Great Western component was the extension into Omaha. It began with the takeover of the Mason City & Fort Dodge in March of 1901, sold by close friend James J. Hill. The small line was originally completed between its namesake cities on October 24, 1886 and once under Chicago Great Western control, Stickney pushed for Omaha. First, the 9 miles from Manly to Mason City had to be closed and this segment was ready for service by November 1, 1901. Then, new construction was carried out west of Dodge City in August of 1901. Passing through small agricultural communities like Carroll and Minden it opened to Council Bluffs in the late summer of 1903. Finally, a trackage rights agreement was secured with Union Pacific later that November to cross its Missouri River bridge and reach Omaha Union Station. With this the Chicago Great Western Railway was complete, operating a network of 1,458 route miles. The system was the classic granger, relying heavily on agricultural traffic. However, the road did handle other freight including cement, aggregates, manufacturing, various less-than-carload movements, and interchange business (of note was the CGW's openness to work with local interurban carriers, an industry most other large railroads shunned). 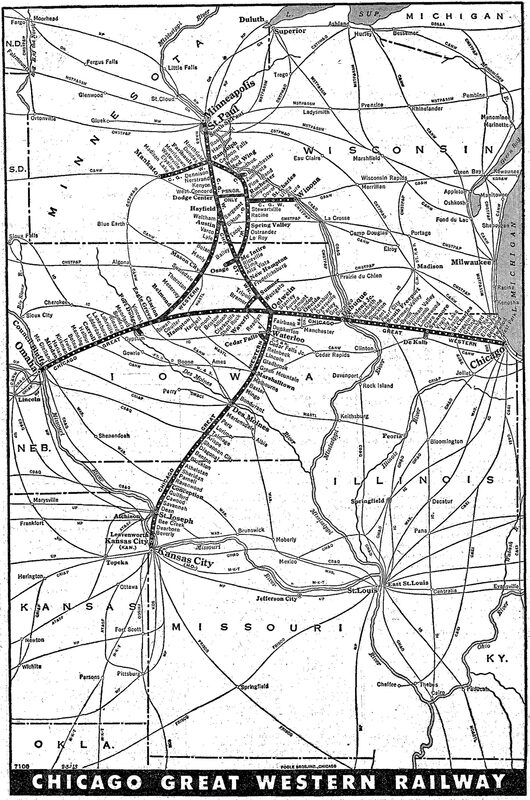 The Modern "Corn Belt Route"
The 20th century got off to a rocky start as the CGW entered receivership once more during 1908; an aging Stickney, despite being named a co-receiver of the bankrupt property, quietly resigned on December 21st, electing instead to allow others to run the railroad which he had built. The reorganization was again brief as the Chicago Great Western Railroad took over the Chicago Great Western Railway's assets on August 19, 1909. The new CGW saw heavy traffic during World War I when it was operated by the government through the United States Railroad Administration (USRA). The 1920's were a generally good decade until the market crash. The company's innovation also shown through at this time when it placed gas-electric "Doodlebugs" and streamlined McKeen Cars in service between Chicago and Omaha in 1924, the purpose of which was to cut costs on lightly-patronized trains. The good times of the "Roarin '20's" would not last, however, as the Great Depression of October, 1929 hit the country, and railroad industry, quite hard. The Great Western at first weathered the troubles but eventually slipped into bankruptcy once more on February 28, 1935. This time the reorganization required much longer due to the economic troubles of the 1930's. However, in comparison to some roads, which spent more than a decade dealing with such proceedings, the CGW was back on its feet before World War II. Its final bankruptcy ended on February 19, 1941 when it became the Chicago Great Western Railway once more. Given its size and the intensely competitive markets in which it operated the modern CGW was a respectable system boasting a stretch of double-tracked territory extending out of Chicago, hosting one of the earliest trailer-on-flatcar (TOFC) services in 1936, and completely dieselizing its motive power fleet by 1949. 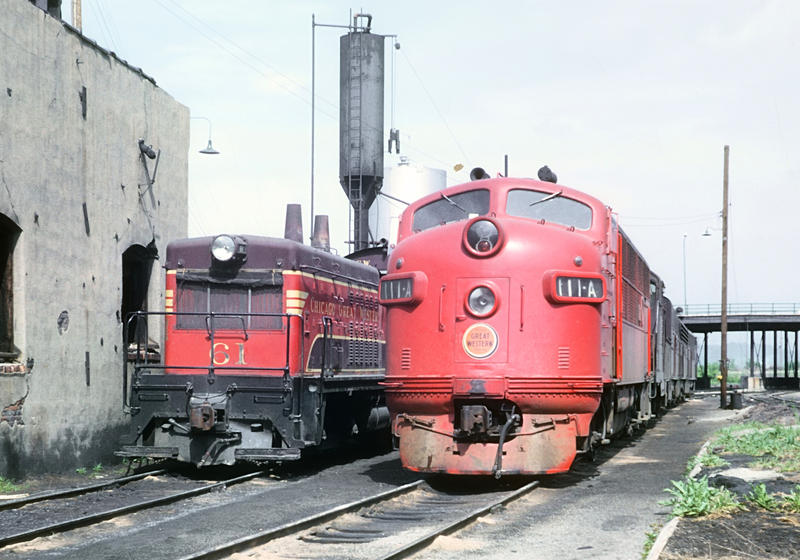 While these first-generation models wore an attractive two-tone burgundy/red livery the railroad never bothered with the streamliner craze and instead focused all of its efforts on business development and customer service. It is interesting that despite Stickney early in the company's history the innovated and resourceful management practices he implemented forever endured. 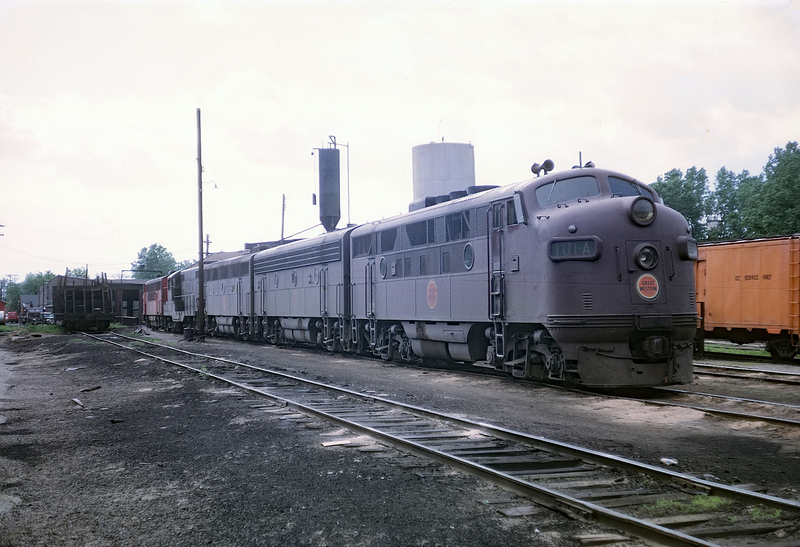 Into the 1950's, under President William N. Deramus III, the CGW launched efforts to significantly cut back its modest passenger services, ending locals and reducing as many through trains as possible. 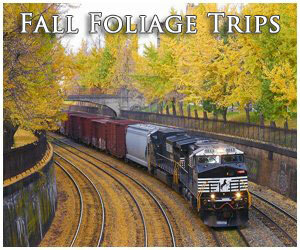 It realized competition from the highways and other railroads proved the concept fruitless. According to Mike Schafer's book, "More Classic American Railroads," by 1956 there were only two through trains remaining, the Twin Cities - Kansas City, Mills Cities Limited, and Twin Cities - Omaha, Nebraska Limited/Twin City Limited. The company also took steps to reduce operating costs associated with depots by demolishing these structures for ugly but utilitarian cinder-block buildings. 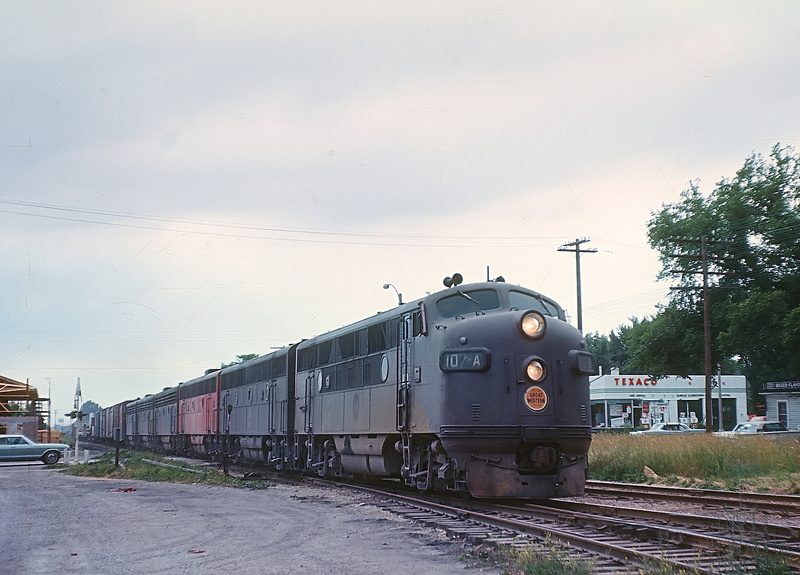 Finally, passenger services ended altogether on April 27, 1962 when trains #6 (northbound) and #5 (southbound) made their final runs between the Twin Cities and Kansas City. The focus then rested squarely on freight where the railroad became famous for its propensity to operate extremely long, 200-car consists. According to Mr. Grant this was actually a long-held practice on CGW to increase efficiency and reduce operating costs, dating back to October, 1894 when it had tested an 84-car consist between St. Paul and Oelwein. During January of 1957 the Great Western's final president took the helm, Edward Reidy. 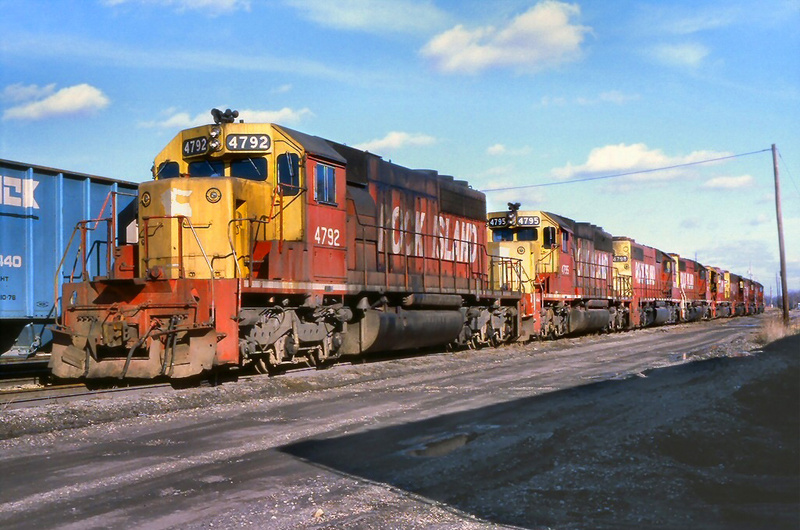 He did his best to maintain a quality railroad by acquiring new second-generation diesels, maintaining a conservative stance towards spending, offering high top notch customer service, and operating freights as long and as fast as possible. Alas, government regulations, rising costs, the surrounding competition, and other issues made a regional carrier like the Great Western quite vulnerable. During the postwar years it had considered several different mergers with the St. Louis-San Francisco Railway (Frisco), Missouri-Kansas-Texas (Katy), Chicago & Eastern Illinois, Kansas City Southern, Rock Island, and Soo Line. In hindsight, any of those choices would likely have been better than its ultimate choice, the Chicago & North Western. The merger was finalized on July 1, 1968 and the C&NW, already in a weak financial condition, wanted only the Great Western's Kansas City gateway. Much of the rest was promptly abandoned, a fact greatly resented by CGW employees. The Chicago Great Western was certainly one of the more interesting granger roads and will forever be remembered for its innovation and commitment to not only itself but also the customers it served.